Hello all my loyal readers. 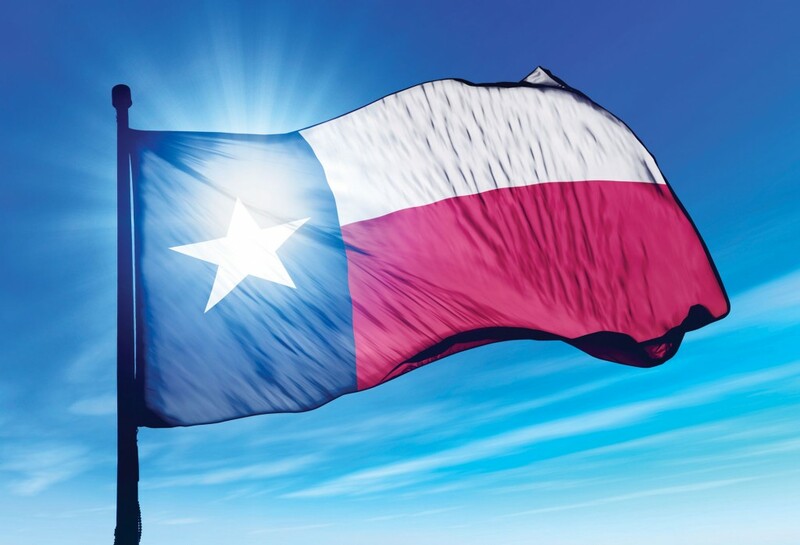 How are you enjoying “National Barbecue Month”? If you follow Griffin’s Grub on Facebook (and you really should), you probably saw how I feel about “National BBQ Month”. Not a fan. First off…one month? Like we grill/BBQ one month a year? Second, all the people jumping on the bandwagon…TV personalities, morning talk shows, radio, magazines, newspapers and even bloggers coming out of the woodwork offering tips and advice. I don’t know about you, but I don’t trust the advice of somebody who grills/BBQs one month a year telling me what or how to cook something. So what am I doing to celebrate “National BBQ Month”? How about bringing you a totally non grilled (or barbecued dish) cooked on that oversized clock/timer thingee located in everybody’s kitchen…mashed cauliflower. Yeah, yeah…its probably been beaten to death by others already, but since I can’t eat potatoes I needed to find something to eat with all those meals that just scream out for mashed potatoes. Like meatloaf. And fried chicken. And chicken fried steak…mmmm…chicken fried steak…drool. 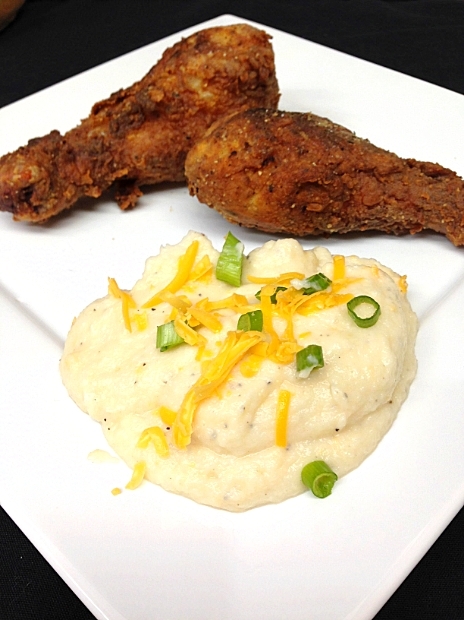 If you think you don’t like cauliflower, try it like this just one time. For me? Please? Cauliflower boiling away. It’s really not the most appealing, mouth watering vegetable out there being all white. Remove the leaves and chop up the cauliflower. Rinse in a colander. Peal two large cloves of garlic. Bring water to a boil (don’t forget to salt your water). 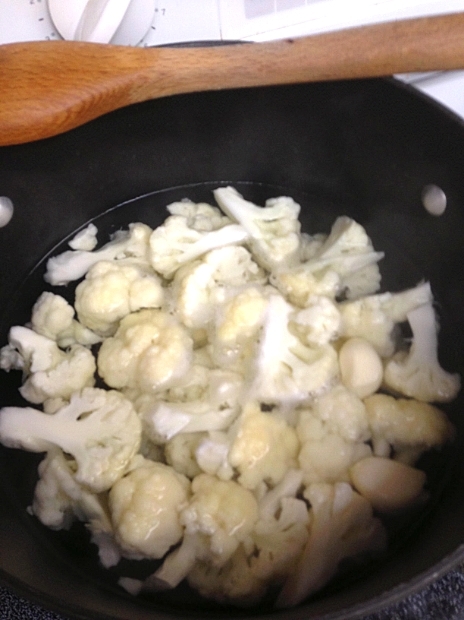 Add your cauliflower and garlic and cook for 10 minutes. 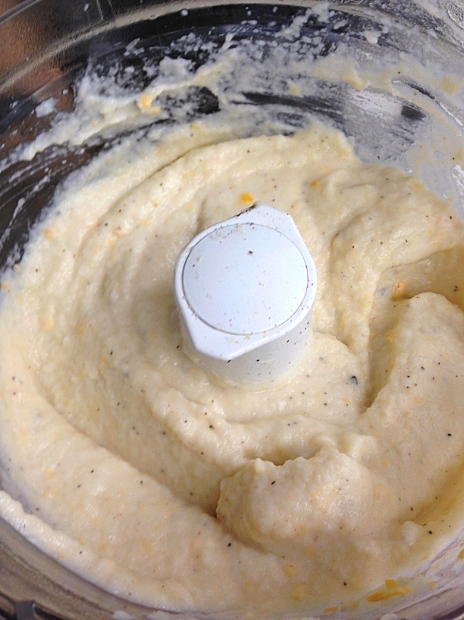 Add the cauliflower, butter and cheeses into a food processor. Pour in about half the milk, and pulse. Add more milk if needed to reach your desired consistency. Top with extra cheddar cheese and green onions. Pulsing away in a food processor. Kinda looks like white baby food, doesn’t it? I included in the ingredients 1 tsp of salt and 1 tsp of pepper. That’s just a guideline. You may like things more or less salty that I do and depending on what kind and how much Parmesan cheese you use, you may need to adjust. Sorry I didn’t measure the Parmesan cheese. I just grated it over the food processor until I thought it was right. Pour the cauliflower into a bowl and garnish with green onions. I thought the above picture looked a little boring. What to do? Add more cheese. Cheese is good for you. It’s got calcium and “stuff”. Doesn’t that look more appetizing? 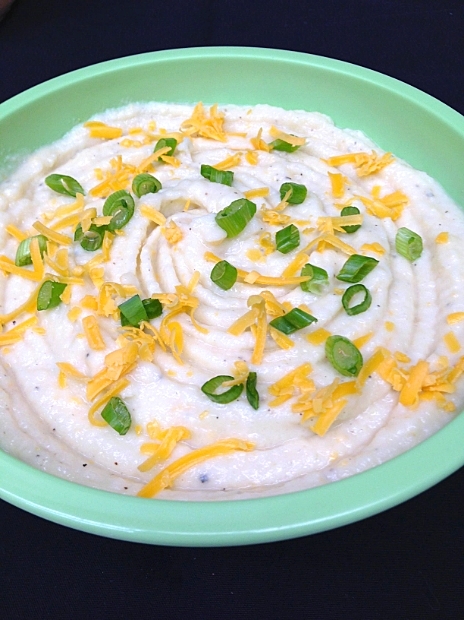 And what should we serve our creamy, cheesy, mashed cauliflower with? 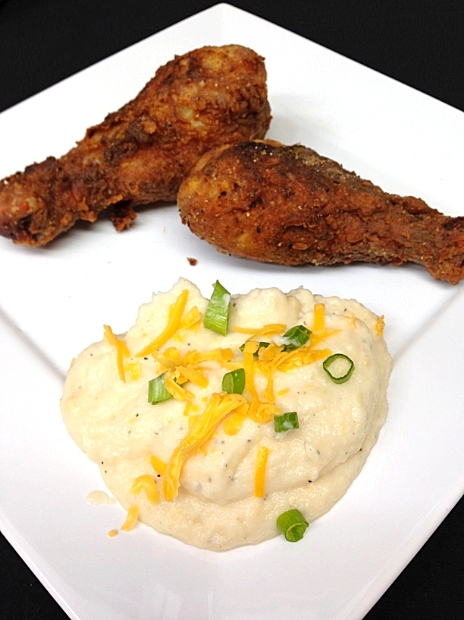 How about fried chicken? I’m not going to lie to you like some other bloggers would and pump you full of false hopes and promises. You plop this down in front of a potato loving guy or gal (like me), don’t expect to pull the wool over their eyes. They are going to know that this isn’t their beloved mashed ‘taters. No, the flavor and the texture just aren’t right. Cauliflower is sweeter than potatoes and they are going to notice. That being said, it was pretty darn tasty. If your eaters have an open mind and/or can’t have potatoes for whatever reasons, this is a good substitution. I was pleasantly surprised by how good it was. Mrs. G was a bit skeptical and only put a little bit on her plate. After sitting down and tasting it, she immediately went back and added more. That, to me, says something and I’m happy knowing that I now have something that I can fix with fried chicken (just so you know, Doc, this is the first time in 2 months I’ve had fried chicken), meatloaf, chicken fried steak, turkey…you get the idea…whatever you would normally serve mashed ‘taters with. I thought about adding some bacon, cuz everything is better with bacon, but looked in the fridge and we were out! Gasp! Shock! Maybe next time. Hey Griffin, you should try using the Fat Free half n half instead of the milk. I would also sub out the butter for a healthier option. Definitely not mash potatoes but they do taste good! Those are great ideas, Ed, and worth considering for most people. I’m trying to follow the Primal Diet, however, and it kind of kicks most conventional wisdom out the door. It advocates the use of whole milk (or heavy cream) over the reduced and fat free stuff and butter over its alternatives. More “natural” foods rather than foods that are processed or have “things” added to it. I’m no expert in it by far, just trying to follow what I read. You can’t have potatoes? Oh the horror! I’m loving your replacement though. While I CAN eat spuds, I’d still finish off this bowl. I wonder if I could get Dudette to eat cauliflower this way. I wouldn’t try to trick her, especially since you said it won’t work anyhow, but maybe she’d like them. Hmmmmm. Thanks for the recipe. Yep, no potatoes. No carbs. No bread, no pasta, no rice, corn or other carbs. Hasn’t been as hard as I thought. Does Dudette like cauliflower? She may like this version. Thanks for taking a look and responding. Let me know what you think of it when you make it. I will and keep sharing those awesome recipes. I’m thinking with a bit of tweaking, this could be good for my diabetic clients who are constantly craving spuds. Nice work. I’m sure you could. I was diagnosed Type II about 8 weeks ago and since have really brought my A1C and blood sugar down with diet and exercise. While this might not be truely diabetic, it doesn’t have all the carbs as potatoes do. Let me know how you tweak it. I’m really interested. 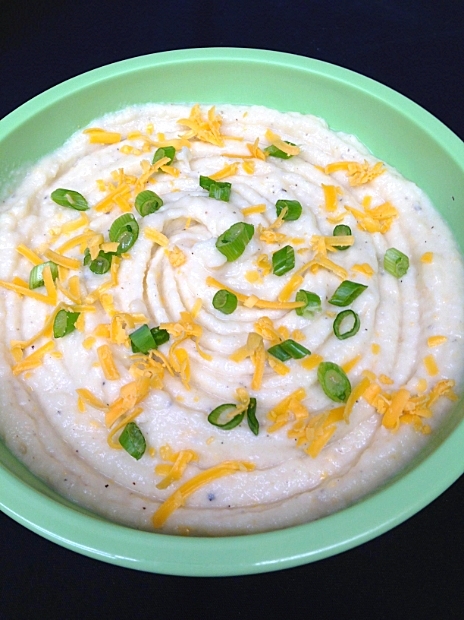 Often make mashed cauliflower, I like this version with a touch of cream cheese, that might cut out the watery texture. Of course, I sprinkle a dash of Garam Masala over it, to turn up the volume:) Great recipe! Thanks, I think the cream cheese helped “firm” it up a bit and make it creamy. You are too kind, Emily. Thanks for stopping by. I made this dish tonight exactly as presented. You’re right, it won’t pass that “mashed potato” test. But when you puree the heck out of it, you get a dish that more closely resembles a fine polenta, which rates pretty high in my book. Substitute high quality cheeses for the average Kraft products you find in most ‘fridges, and you’re talking a seriously special dish. Assuming the recipe generates 6 portions, you have satfat of 7.29 grams, 149 calories, and only 4.53 carbs. We’re talking health food here. Nicely done Grif. Ah, the painful lack of carbs… 🙂 I do eat carbs, although mostly the complex kind, but I include white potatoes because they are remarkably nutritious. We do love cauliflower, including the delicious mashed kind, but I do a mix of half potatoes and half cauliflower. It adds more body to the mash while still keeping the carbs and calories down. Either way, it looks delicious. Thanks, Anita. It was hard at first, but I’m getting used to it and I am allowed cheat days. You called me out, I am a cauliflower hater, but I need to give this a try. I made these tonight and they were great!!! So glad you liked them. 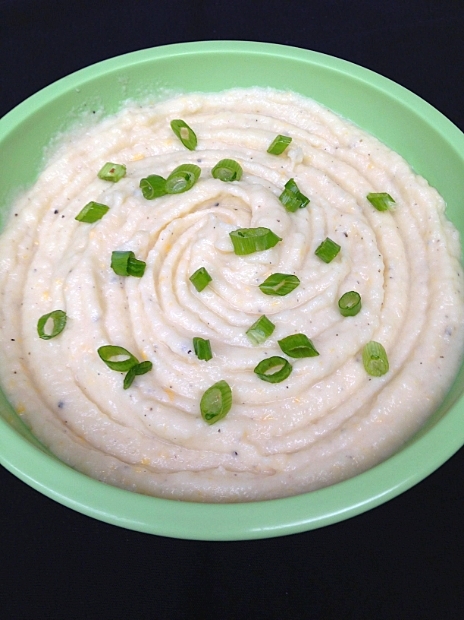 Not really a mashed potato consistency, more like a polenta or grits, but still tasty. My step daughter loved these cauli-taters and she does not like veggies of any kind.